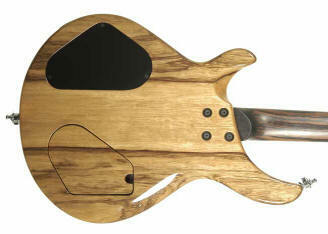 A Quicksilver Guitar with a Neck-Through Body is an Abstract. A Quicksilver Guitar with a Deep Set Neck is a Centurion. This photo is a bit washed out and the Spalted maple looks a little weak !! Many of our customers get pleasantly surprised when they first open their case. 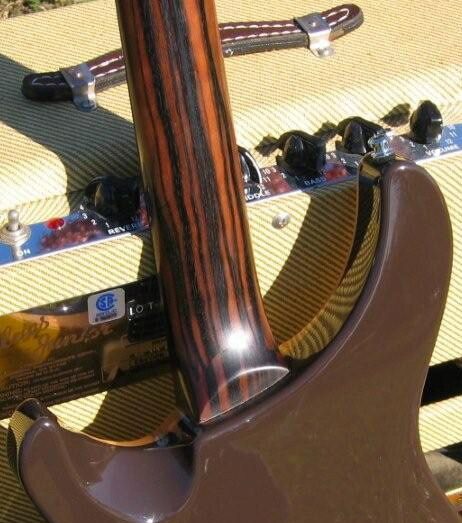 This one was built for Kevin Pauli, It has a Maximus style headstock on it !!!! 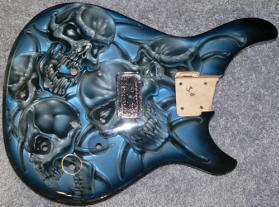 We can build you any headstock you like !!!! 96% of the Quicksilvers are built using a bolt in method. We have found the bolt in method to be the most versatile and also have a great deal of stability as long as the job is done correctly. Bolt On & Bolt in necks have a bad rap because most of the time they are simply not done correctly. It had to happen, As most of my readers are aware I am definitely not a fan of set neck designs. There are a couple of exceptions, but for the most part set necks kill a lot of tone and tend to be less stable than bolt on's or neck through body guitars. 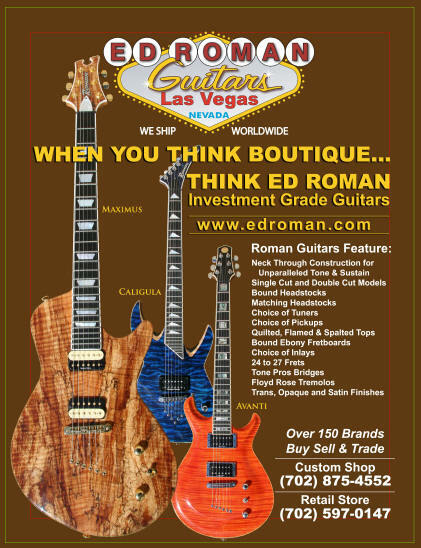 The Quicksilver guitar has been the leader in natural sustain for all the guitars that I build here. The Quicksilver has also been the tone king, Due to the highly stable super tight neck joint and Black/Back pickups. The neck through body model was first discussed & conceived back in 2002, We decided that the bolt in neck model was extremely versatile and why fix something if it isn't broke. We were able to get plenty of stability with our trademarked torqued in neck. In fact over the years we succeeded in designing a neck joint that was super stable due to the way it was bolted together, coupled with our trademark pickup bolted right into the neck design. The only fly in the ointment was when a customer required a Floyd Rose or any type of tremolo, the existing direct coupling system would be incomplete. 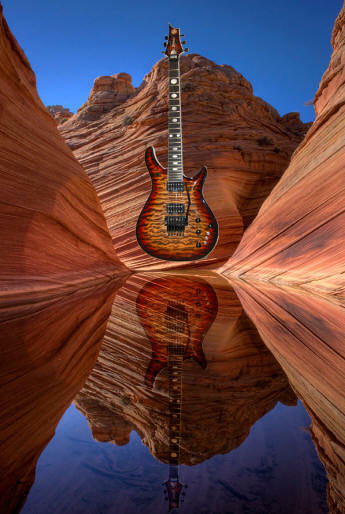 The younger guitarists have traditionally been put off by bolt on model guitars because they have played many a cheaper imported model which sadly are not done right. Many people are not aware that a bolt on neck is actually harder and more expensive to do than a set neck. Bolt On & Bolt In Necks have gotten an unfair bad rap !! Simply because, many large companies cannot seem to do it right. If a neck joint is even slightly loose all the tone is lost in that gap. Slide a thin pick or a thin piece of paper between the neck & the body. You should not be able to do that. If you can please do not buy that guitar. Throughout my website I will always denigrate set necks, with only a couple of notable exceptions. 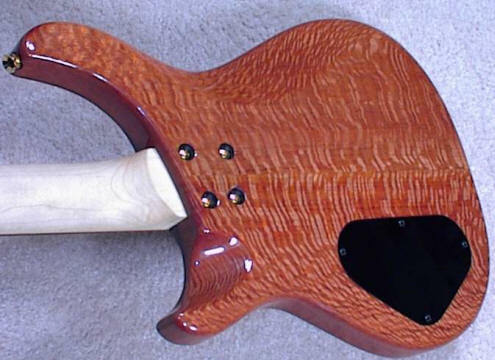 I am a firm believer that set necks are tone suckers. The glue in the neck joint prevents the tone from transferring even worse than a loose bolted on neck. We decided that most of the tremolo problem could be rectified by making a neck through body model. This would bring back that maximum stability which is crucial to good tone & sustain. Ed Roman Recommends this model for the player who wants a Brown Sound with not as much brilliance on the high end. The original Quicksilver is still tonally more versatile as far as different tone capabilities. This neck through body model is designed to slay a Les Paul, SG, Hamer, Dean Hardtail, PRS Custom or any set neck traditional old school guitar. Set necks are available for no extra charge !!!!! This has been printed repeatedly on various pages around my site !!!! I think this is an important thing for a guitarist to realize !!!! I am going to attempt to dispel that myth. In fact I personally think that a normal set neck is the absolute worst way to construct an electric guitar! It actually costs less to glue in a neck than to bolt one in correctly. Gluing up a neck is pretty basic. You apply glue inside the neck joint, slide the neck in and clamp it down. A bolt in neck requires a lot more work, there is no room for a sloppy fit like on a glue in neck. The cost of stainless bolts and press fittings are far higher than the cost of a little glue. The labor factor requires 4 holes drilled and countersunk. The tolerances are extremely tight on a good bolt on neck where the tolerances are far less important with the application of glue. If you make a mistake and drill incorrectly it’s time to throw away the body on a glued up neck there are no holes to drill and less chances of a mistake. I know, I know it’s been done that way for 60 or 70 years! why change now? Why not keep our heads buried in the sand and continue thinking like we did in the 50’s & 60’s ? Any luthier will tell you that the neck breakage occurs more on set neck guitars than all other guitars combined. The fact is I have repaired less than 15 bolt on necks in 40 years. I have repaired well over 2000 set necks and at any given time there are probably at least 6 of them broken in my shop. Bolt on necks got their bad reputation during the 70’s when companies were making them with ill fitting or loose neck joints. 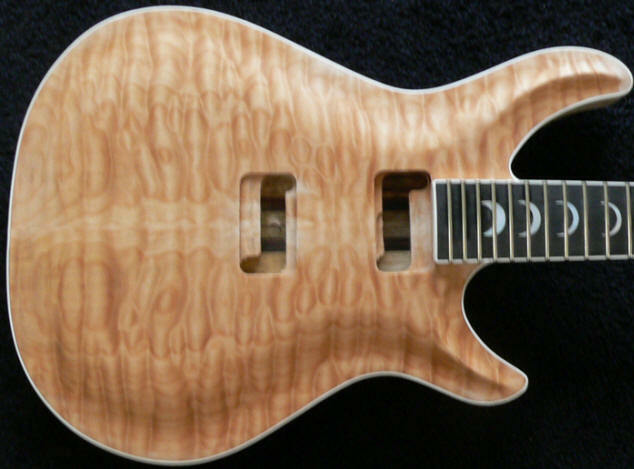 A loose neck joint causes instability and detracts horribly from tone quality. 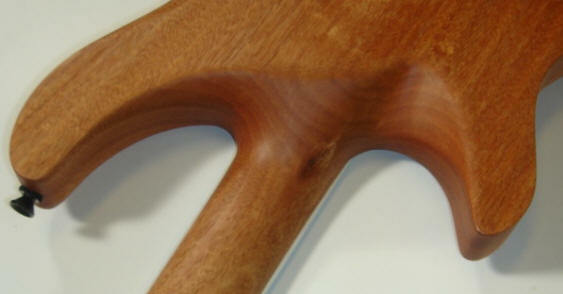 A loose neck joint will also cause tremendous loss of sustain. Some companies in the 70’s were mass producing guitars as fast as they could and were simply not paying attention to the neck joint! The necks were not fitted correctly and in many cases the strings were actually hanging off the edge of the neck. Thanks to modern machinery and woodworking techniques neck joints are a lot better & tighter today. We now know much more about guitar construction than we used to. Guitars in general are a lot better today, even the Mexican ones are better than some of those USA guitars from the 90’s. A tight neck joint equals a good guitar !!! The neck-joint is the heart of the guitar, If the neck-joint is set up properly the guitar WILL always sound better.